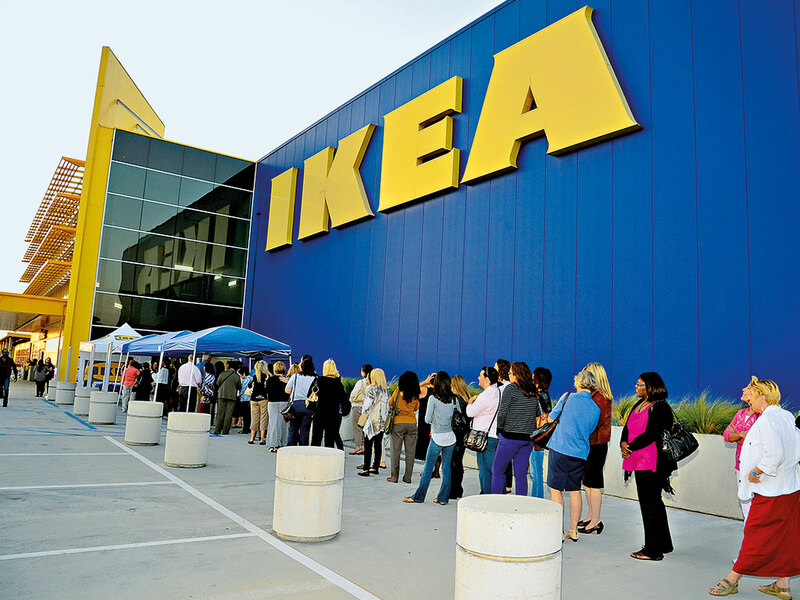 Despite having a reputation as a company whose stores people loathe having to visit, IKEA has established itself as the world’s premier place for all manner of cheap furniture. It has expanded rapidly over the past few decades to become the first suggestion when anyone says they need a new piece of home furnishing. With reported global sales of €26bn each year, the company is far and away the largest furniture retailer in the world. It now has around 135,000 employees spread across 44 countries around the world, and is seen as a signifier of a newly gentrified region when one of its stores opens. However, thanks to a somewhat unique corporate structure, the company has managed to position itself as a non-profit organisation that doesn’t play by the same tax rules as its competitors. Indeed, IKEA is reported to have managed to pay around 33 times less tax than its rivals. While charitable organisations are rightly given tax exemptions to enable them to do the good work they do, it is somewhat questionable whether a company the size of IKEA, which is unrivalled within its marketplace, deserves such a status. Founded in 1943 by Swedish businessman Ingvar Kamprad, IKEA has grown to become the planet’s leading provider of affordable furniture. While official figures are hard to come by, Kramprad claimed in 2013 that his wealth was a mere €108m. This disclosure was forced from him after he chose to move back to Sweden from the tax haven of Switzerland. However, despite his claims, it is thought that he is worth considerably more. Indeed, some estimates put his empire at around €43.2bn, with the value of IKEA thought to be around €66bn. 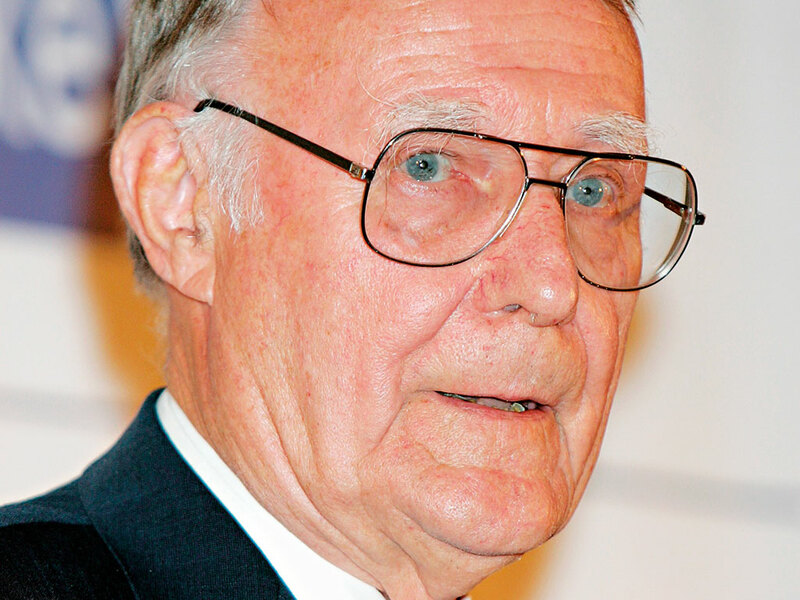 In fact, Kamprad is thought to be the eighth-wealthiest person in the world. According to a 2014 article in Australian Financial Review, the 89-year-old Kamprad insists he gave away all his wealth to charity back in 1982. The main charity in this case – a Dutch institution called Stichting Ingka Foundation – was set up with the intention of “safeguarding the future of furniture”. Kamprad has recently begun paying normal taxes in his homeland of Sweden, having lived outside the country for more than 40 years. Having fled in 1973 to avoid paying the high levels of tax that the government of the time imposed, Kamprad lived in Switzerland for much of the time since. This is despite his passion for his homeland, with all his stores proudly promoting Swedish products, including food. Part of the reason for his move back Sweden is the new, lower tax rate the country is offering. However, it is thought that Kamprad also chose to return to his homeland to be closer to his family after the death of his wife in 2011. Still, despite this move home, IKEA’s foundation still enjoys its non-profit status. IKEA has taken pains to position itself as a caring, sustainable, and environmentally-conscious firm in recent years. Investments in renewable energy schemes have come alongside investments in community projects, as well as efforts to help people save on energy and waste in their homes. But regardless of being the leading furniture retailer in the world, operating within a marketplace full of privately run businesses that have to pay normal levels of tax, IKEA is classified as a non-profit entity, and therefore pays minimal amounts of tax. Further to this, it added: “Low prices are the cornerstone of the IKEA vision and our business idea. The basic thinking behind all IKEA products is that low prices make well-designed, functional home furnishings available to everyone. We are constantly trying to do everything a little better, a little simpler, more efficiently and always cost-effectively.” But is this true? Despite the caring image, the finer details of IKEA’s corporate structure suggest that it isn’t quite as generous as it might seem. The Stichting Ingka Foundation is reported to have billions of dollars in profits, but has donated relatively small amounts to actual projects. Indeed, 10 years ago the foundation was estimated to have around €33.5bn in a report by The Economist, which made it the world’s wealthiest charity at the time. The article went on to point out how stingy the foundation was, giving comparatively little to projects or other charities. At the same time, it paid considerable amounts to the Kamprad family, while preventing any hostile takeovers from occurring. Instead of pouring its resources into charitable projects, the foundation owns Dutch company Ingka Holdings, which itself owns the IKEA Group, which operates all of IKEA’s 290 global retail stores. This complex structure isn’t entirely unheard of, but Ingka Holdings being owned by a non-profit foundation means that it has managed to pay less in the way of corporation tax around the world than many of its rivals. However, the structure of the company gets even more confusing. The ‘IKEA’ trademark is owned by yet another company, called Inter IKEA Systems, which is this time based in the tax haven of Luxembourg. This firm takes care of the franchising side of the business, whereas the other side runs the operations. In response to the article by The Economist, Kamprad did make an effort to change the structure of the foundation in the Netherlands so that it would contribute more of its resources towards fighting child poverty around the world. Many firms run charity programmes, however, without getting non-profit status. Questions remain over whether IKEA’s corporate structure truly does warrant this designation, therefore. As recently as November, the company was doing battle with a US tax authority. A much-delayed new store being built in Memphis, Tennessee has faced challenges from the Shelby County tax assessor over a $9.5m tax break IKEA received from the local government. While IKEA’s store is highly coveted in the area, signifying gentrification and bringing in much-needed new jobs, concerns over a major corporation receiving such a generous tax exemption are understandable. The company has been doing its part in certain areas. Its sustainability efforts have been widely praised, in particular its determination to run operations using almost entirely renewable energy sources. Earlier this year, the company unveiled a big campaign to highlight its green credentials, dedicating a huge amount of money to making its retail stores and factories energy efficient. While IKEA has pressed ahead with many of its renewable partnerships, in November it was reported to have cancelled a large deal with Hong Kong-based Hanergy Thin Film Power, a solar panel maker that is currently under investigation for dodgy accounting policies. While IKEA didn’t use the panels itself, it has sold them within its stores. The company’s pledge of €1bn for renewable technologies and its stated commitment to powering all stores using renewable energy by 2020 are certainly laudable, but questions remain about whether they are mere window-dressings for a hugely profitable company that has come under intense scrutiny in recent years for its tax affairs.